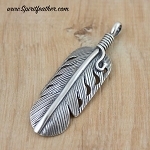 Sterling Silver feather pendant. Made in Albuquerque, NM. 2.5" long incl bail. 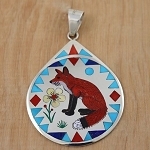 We carry authentic Native American Jewelry, Dream Catchers, Medicine Wheels, Arts and Crafts at our store here in North Carolina. 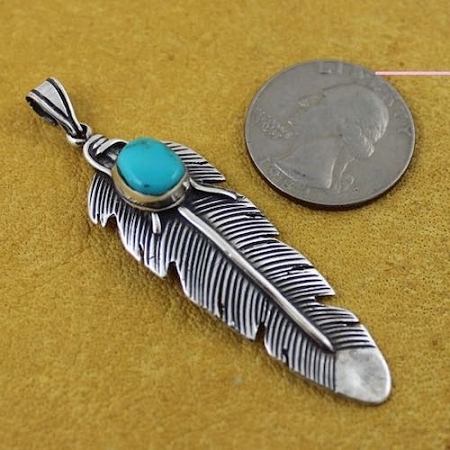 You will find high quality Native American jewelry, fetish carvings, books, bows and arrows, pipes, tomahawks, talking sticks and music. You can also find relaxing music, meditation tools, labyrinths and prayer feathers. 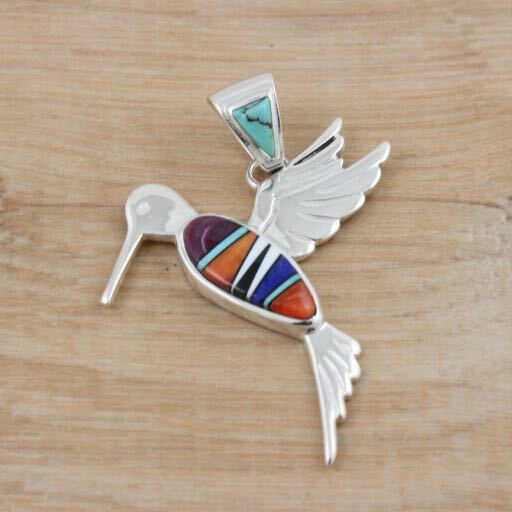 We offer Navajo, Pueblo Pottery along with Winterhawk Pottery and local pottery. 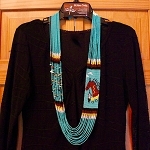 Retail store is located at 514 North Main Street, Hendersonville, NC 28793. What you see here is just a sample of what we have, contact us and tell us what you want. Copyright All Nations Trading. All Rights Reserved. Start An Online Business with 3DCart.